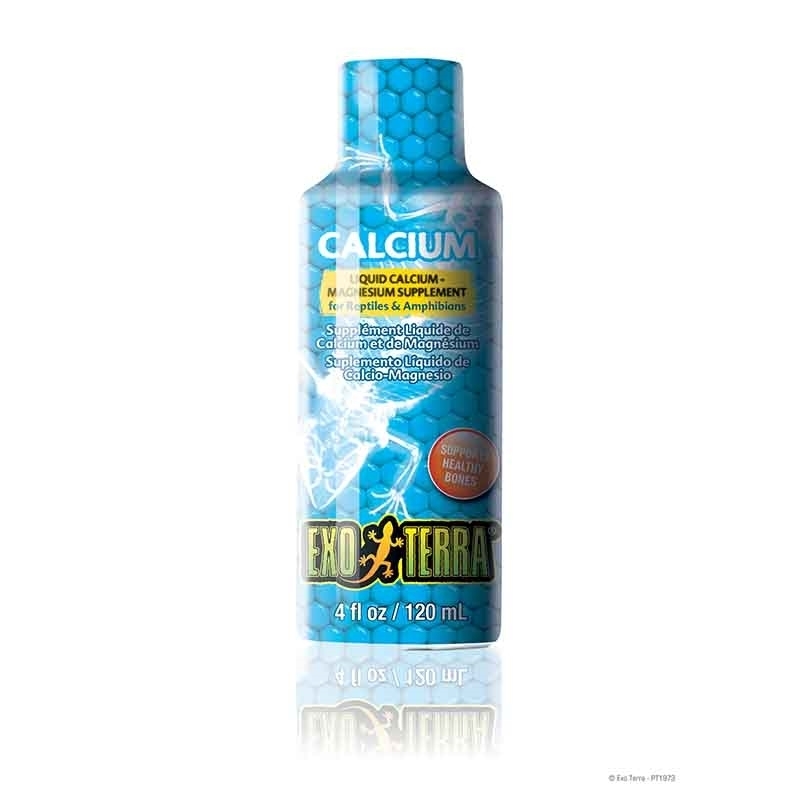 The Exo Terra Calcium is a liquid Calcium-Magnesium supplement especially formulated for use with reptiles and amphibians. The mineral elements calcium and magnesium play an essential role in many of the body’s most important functions. Calcium is a bone building mineral and is an integral part of the entire skeletal system. Magnesium stimulates the body’s production of calcitonin, a hormone which supports healthy bone density. Calcium and magnesium also aid in regulating muscle contraction (such as heartbeat), nerve signals and hormone production. A major dietary problem in captive reptiles and amphibians is the low assimilation of calcium from their daily food. 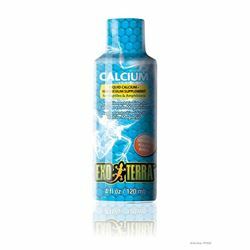 The Exo Terra Calcium contains 8% of highly absorbable elemental calcium and 1% Magnesium to help maintain a strong bone structure. A liquid supplement provides high absorption and assimilation because it passes directly into the small intestine.